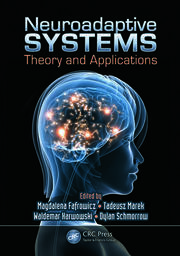 Brain–Computer Interfaces Handbook: Technological and Theoretical Advances provides a tutorial and an overview of the rich and multi-faceted world of Brain–Computer Interfaces (BCIs). 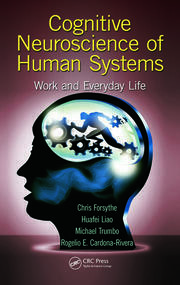 The authors supply readers with a contemporary presentation of fundamentals, theories, and diverse applications of BCI, creating a valuable resource for anyone involved with the improvement of people’s lives by replacing, restoring, improving, supplementing or enhancing natural output from the central nervous system. It is a useful guide for readers interested in understanding how neural bases for cognitive and sensory functions, such as seeing, hearing, and remembering, relate to real-world technologies. 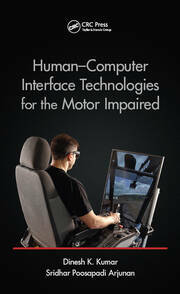 More precisely, this handbook details clinical, therapeutic and human-computer interfaces applications of BCI and various aspects of human cognition and behavior such as perception, affect, and action. It overviews the different methods and techniques used in acquiring and pre-processing brain signals, extracting features, and classifying users’ mental states and intentions. Various theories, models, and empirical findings regarding the ways in which the human brain interfaces with external systems and environments using BCI are also explored. The handbook concludes by engaging ethical considerations, open questions, and challenges that continue to face brain–computer interface research. 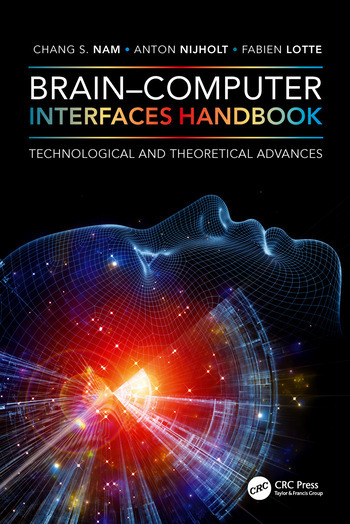 Overall, this handbook provides a synopsis of key technological and theoretical advances that are directly applicable to brain–computer interfacing technologies and can be readily understood and applied by individuals with no formal training in BCI research and development. Chapter 11 BCI and Games: Playful, Experience-Oriented Learning by Vivid Feedback? Chang S. Nam is an associate professor of Edward P. Fitts Industrial and Systems Engineering at North Carolina State University, USA. He is also an associated professor of the UNC/NCSU Joint Department of Biomedical Engineering as well as Department of Psychology. He received a PhD from the Grado Department of Industrial and Systems Engineering at Virginia Tech in 2003. Dr. Nam is the author or coauthor of over 70 research publications including journal articles, books, book chapters, and conference proceedings. Dr. Nam’s research interests center around brain–computer interface and rehabilitation, wearable sensor-based remote healthcare, neuroergonomics, neuroadaptive automation in large-scale unmanned aerial vehicles (UAVs), and haptic-user interaction. His research has been supported by federal agencies including National Science Foundation (NSF), Air Force Research Laboratory (AFRL) and National Security Agency (NSA). Dr. Nam has received the NSF CAREER Award, Outstanding Researcher Award, and Best Teacher Award. Currently, Dr. Nam serves as the Editor-in-Chief of the journal Brain-Computer Interfaces. Anton Nijholt is Professor Emeritus of the University of Twente, the Netherlands and research-fellow at the Imagineering Institute in Iskandar, Malaysia. He studied mathematics at Delft University of Technology and received a PhD in computer science from the Vrije Universiteit, Amsterdam. He held positions at McMaster University, Canada, University of Twente, Nijmegen University and Vrije Universiteit Brussels, before becoming full professor at the University of Twente, where he established the Human Media Interaction (HMI) research group. He supervised more than fifty PhD students in natural language processing, human-computer interaction, multi-party interaction, and brain–computer interfacing. His research has been supported by regional, national and EU research agencies. Nijholt is author of hundreds of research papers and he is editor of books on brain–computer interfaces, entertainment computing, playful interfaces and playable cities. Nijholt was research-fellow at the Netherlands Institute for Advanced Study in the Humanities and Social Sciences (NIAS) and for several years he acted as an adviser for Philips Research. Nijholt also acted as general or program chair of all main international conferences on entertainment computing, virtual agents, affective computing and multimodal interaction. Currently he is editor of the Springer book series on Gaming Media and Social Effects, specialty chief Human-Media Interaction of the journal Frontiers in Psychology and member of editorial boards of various other journals. Fabien Lotte is a Research Scientist (with tenure) at Inria Bordeaux Sud-Ouest, France, since 2011. He obtained a M.Sc., a M.Eng. and a PhD degree in computer sciences, all from the National Institute of Applied Sciences (INSA) Rennes, France, in 2005 (M.Sc., M.Eng.) and 2008 (PhD). In 2009 and 2010, he was a research fellow at the Institute for Infocomm Research (I2R) in Singapore, working in the Brain–Computer Interface Laboratory. His research interests include Brain–Computer Interfaces (BCI), human-computer interaction, pattern recognition and brain signal processing. He is the author or co-author of about 100 publications, several of which published in the best journals (e.g., Journal of Neural Engineering, IEEE Transactions on Biomedical Engineering, Proceedings of the IEEE, IEEE Transactions on Signal Processing, etc.) and conferences (ICASSP, UIST, CHI, etc.) in these fields. His PhD Thesis received both the PhD Thesis award 2009 from AFRIF (French Association for Pattern Recognition) and the PhD Thesis award 2009 accessit (2nd prize) from ASTI (French Association for Information Sciences and Technologies). His research is supported among others by Inria, the French National Research Agency (ANR) and the European Research Council (ERC). He is part of the editorial boards of the journals Brain–Computer Interfaces and Journal of Neural Engineering.